Nigeria’s external debt commitment rose by $11.77bn in the last three years, investigation has shown. According to debt statistics obtained from the Debt Management Office, the country’s external debt rose from $10.32bn in June 30, 2015 to $22.08bn as of June 30 this year. This means that the country’s external debt commitment has grown by 114.05 per cent in the last three years. Although multilateral debt made up $10.88bn or 49.28 per cent of the country’s external debt profile, most of the increases in the last three years occurred in the area of commercial loans. According to the DMO, commercial foreign loans, which stood at $1.5bn as of June 30, 2015, had risen to $8.8bn as of June 30 2018. This means that in the last three years, the country’s exposure to commercial foreign loans has risen by $7.3bn or 486.67 per cent. With a commitment of $8.47bn, the World Bank is responsible for 38.36 per cent of the country’s foreign portfolio. Apart from the World Bank Group, Nigeria is also exposed to some other multilateral organisations such as the African Development Bank with a portfolio of $1.32bn and the African Development Fund with a portfolio of $843.47m. Others are the International Fund for Agricultural Development with a portfolio of $159.44m; the Arab Bank for Economic Development with a portfolio of $5.88m; the EDF Energy (France) with a portfolio of $64.96m and the Islamic Development Bank with a portfolio of $16.92m. On the other hand, bilateral debts make up $2.39bn or 10.87 per cent of the country’s external debt exposure. The bilateral agencies to which the country is indebted are the Export-Import Bank of China with a portfolio of $1.91bn; the Agence Francaise de Development with a portfolio of $274.98m; the Japan International Cooperation Agency with a portfolio of $74.69m; the EXIM Bank of India with a portfolio of $4.76m; and Germany (KFW) with a portfolio of $132.24m. Unlike the foreign debt, the domestic component of the country’s total public debt decreased marginally recently as a result of moves to rebalance the local/foreign debt ratio. According to the DMO, a major highlight in the latest public debt data was the decrease in the Federal Government’s domestic debt, which declined from N12.59tn in December 2017 to N12.58tn in March 2017 and N12.15tn in June 2018. 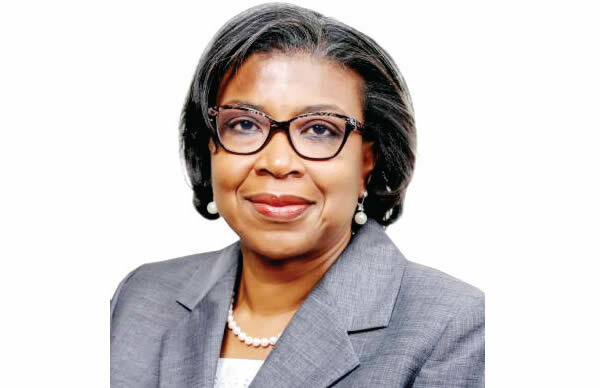 The DMO said the reduction in the FGN’s Domestic Debt Stock arose from the redemption of N198bn Nigerian Treasury Bills in December 2017 and another N639bn between January and June 2018. A total of $3bn was raised through Eurobonds to refinance maturing domestic debt as part of the implementation of the debt management strategy for the purpose of substituting high cost domestic debt with lower cost external debt to reduce debt service costs for the government, the DMO said. It also explained that the implementation of the Public Debt Management Strategy, whose overall objective was to ensure that Nigeria’s debt is sustainable, was already yielding positive results.